Chef and restaurateur Curtis Stone – who owns two acclaimed restaurants, Maude and Gwen, in Los Angeles –shares his perspective on what sets a good food critic apart from the rest. Larry King: Do you pay attention to food critics? 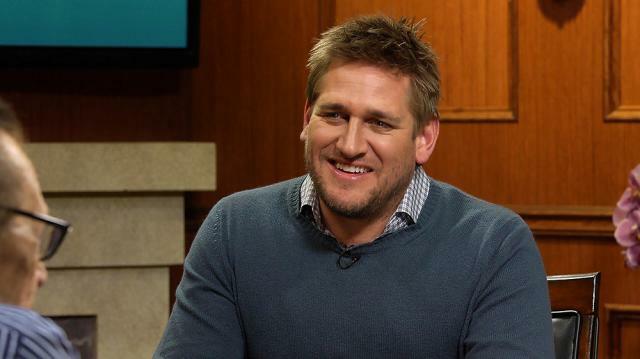 Curtis Stone: Look I think food critics – I do, yeah, absolutely. I think they’ve got really interesting perspectives. You know some people would say it’s hard to be judged by someone that knows less than you, and the truth is as a chef you spend your entire life learning the craft of cooking, and then someone that hasn’t spent that time learning that craft judges your abilities. Larry King: So what do the good critics – what do they know? Curtis Stone: Look I think at the end of the day eating in a restaurant is, anyone can do it, and everybody can have an opinion on it. I think a good food critic really dives deep into the technique that’s used. But the experience that’s created through that technique, or that specialization in whatever it is you’re doing, and they really delve into all the different elements that go into a restaurant, which includes selecting the plates, employing the staff, the type of wine service, what’s on the list, what the menu looks like, how quickly the courses come after the other. You know, my idea for good service is you want for nothing. Every time you reach for your water glass, there’s water in it.